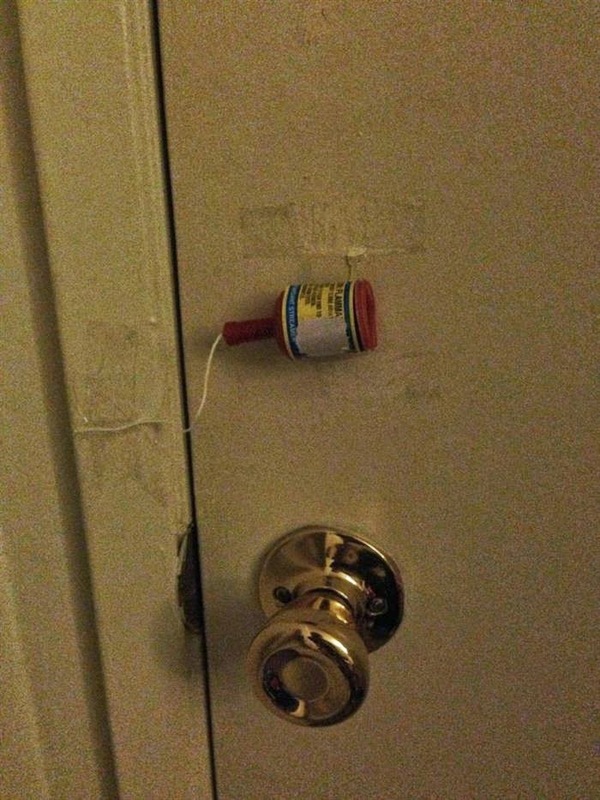 Door booby-trapped as an intruder alarm. 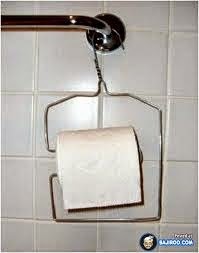 Hanger bent into a toilet roll holder. Why do urban rules have to be any different from the rural ones. 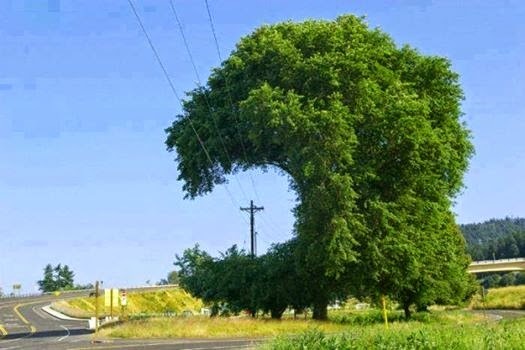 A simple life hack instead of cutting the tree. External replacement for a broken fuel tank. 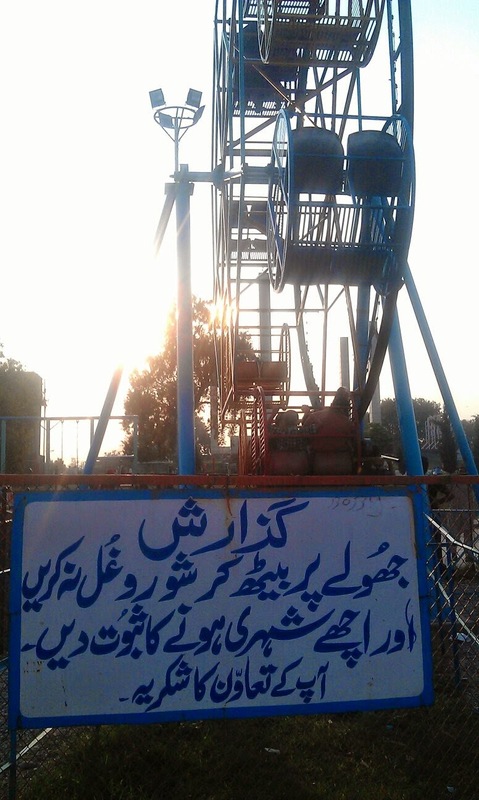 Jhoolay par beth kar shor o ghul na karain aur achay shehri honay ka saboot dain! 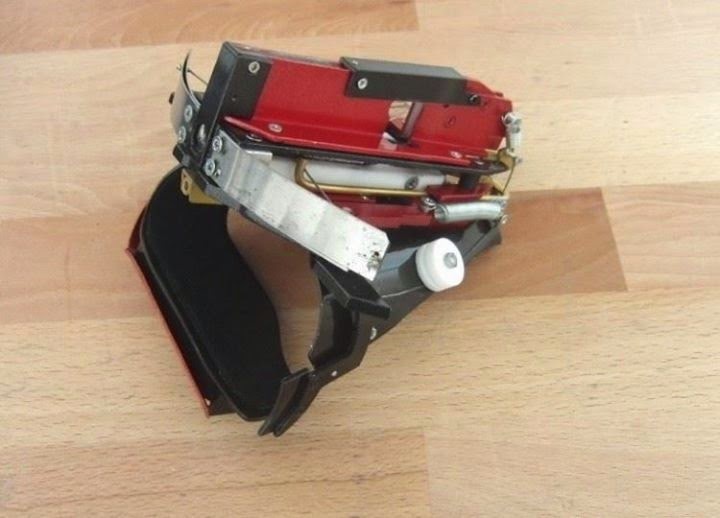 Epic fail! 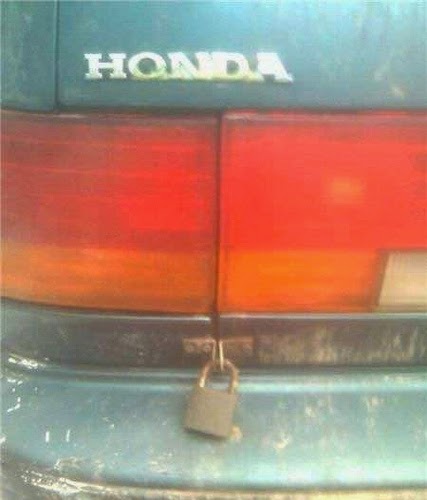 So what if you broke the trunk lock... just use the same padlock you use with your house, suitcases, almost everything - the Pakistani way. 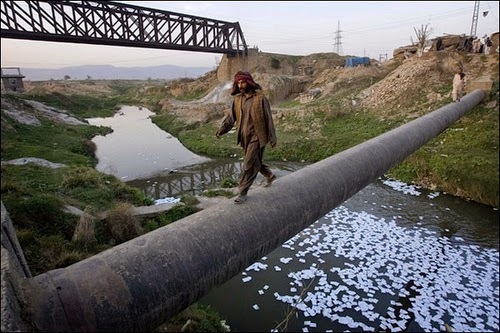 Man walks across a river over a pipeline in norther Pakistan using it as a shortcut bridge. 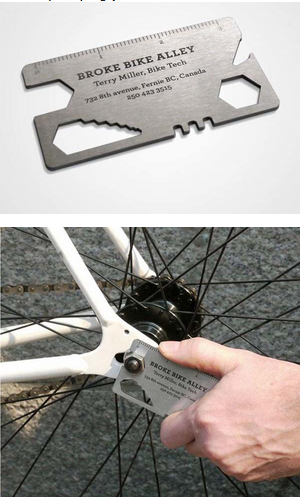 Bike repair shop business cards that are actually steel strips shaped to act in a similar way to swiss army knives and work as all in one bike tool kit! 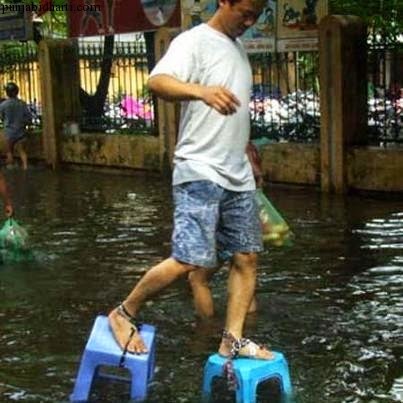 Man uses stools strapped as shoes to walk through flooded street. 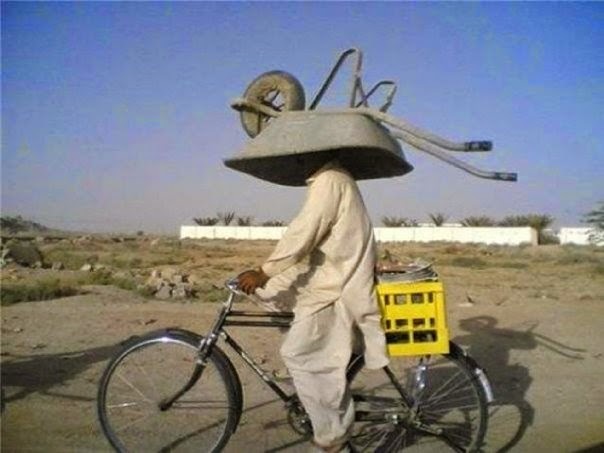 Pakistani labour rides a bicycle carrying wheel barrow on head to work. 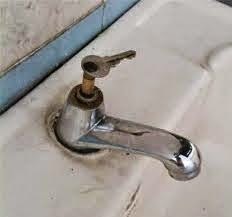 Welded key to the tap valve to make up for the broken handle. 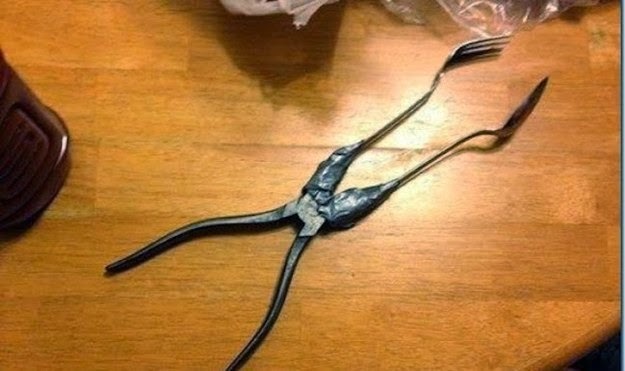 Ok that's a three way rig... but sure works as chopsticks! 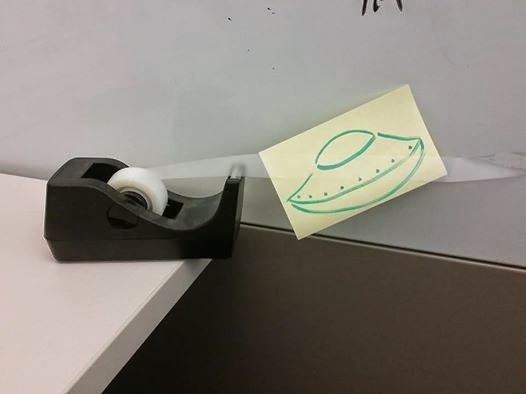 Satirical photograph: A UFO caught on tape! 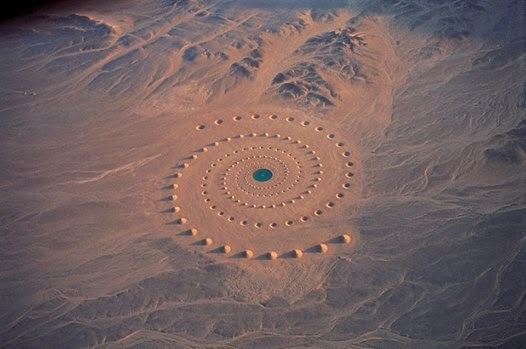 An aerial view of spirals based desert art in Egypt. 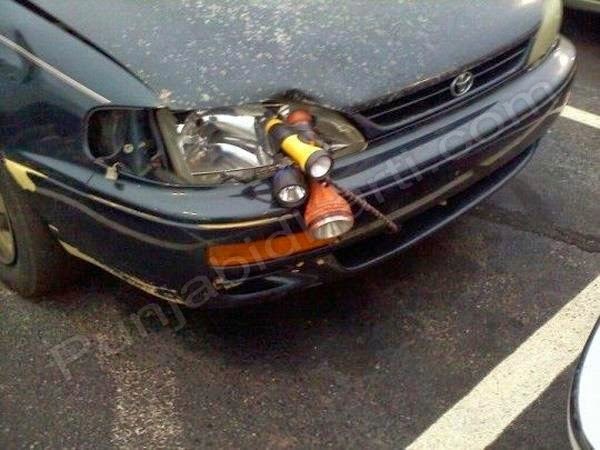 Broken car head light temporarily replaced by a torch to "make do". 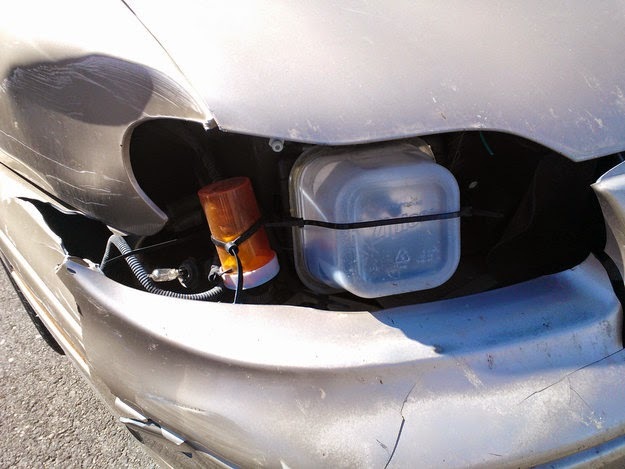 Broken indicator replacement with orange medicine bottle (and a... lunch box... for head light?). 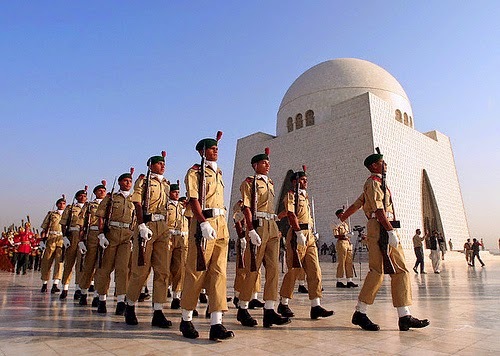 A nation’s capability to defend itself, more commonly known as military security, has expanded from conventional warfare to more complex form of engagements like nuclear & biological warfare to the fourth generation warfare that is between the state and insurgents. Since prehistoric era, as Paleri (2008) states, the war has been influencing human psyche and until the limitations of war are properly understood, the importance of military security in conventional terms will remain a priority. As a result of such change in warfare, the two kinds of engagements common in the 21st century are, the projected power to another nation and encountering insurgents in the homeland. Both these military engagements are more similar to each other than to conventional warfare; once the bases are established in a foreign nation, a guerrilla war usually ensues much similar to a local insurgency. Military security can further be categorized in respect of its needs in and outside a military base. This categorization is based on the security dynamics of defending a stronghold and escorting a moving vehicle, crowd or even protecting civilian infrastructure. Both are essential for a military force to dominate; having a secure military base is not enough for a military to be considered successful when it is being harassed by a much smaller force in hit and run attacks. Bloody, city wide, offensives often cause millions to displace. Though this helps secure the city, the consequences are not pleasant for the security in the long term. Once the population returns to the war struck region, it is easy for the insurgents to mix up in the civilian population to infiltrate. This is a significant security challenge for the military. Wadhams reports in The Cincinnati Post, in 2004, of an insurgent infiltrating a fully guarded US security base that was protected by barbed wires and blast walls at Mosul and setting of one of the deadliest explosions. Under such circumstances, security measures often keep on changing to meet the dynamic needs. Adaptability is an essential in ‘fluid situations’, 1st Sgt. Steve Valley is reported to have said in the same report. Suicide attacks change the whole nature of security dynamics as the attacker aims to kill himself in the attack. For the conventional and nuclear warfare, the security of the personnel and equipment is foreseeable but for terrorist attacks, knowing what the enemy is capable of is solely dependant upon previous encounters and intelligence. Pappalardo (2004) reports in “National Defense” about US military bases being equipped with chemical and biological detectors as a precaution against attacks from weapons of mass destruction. Security of military bases in the current situation is much sophisticated, especially when it comes to the smaller installations; they rely on first responders and outside help unlike the major ones which have coordination with the local authorities, be it in an occupied territory or in the home country. As the requirement puts it, smaller bases are much more in number and raise the need for sufficient security for undisrupted operations so that they can continue to operate in balance with survival and mission success. Kemp (2008) lists a series of security measures used in protecting the bases in his report on base protection in Armada International. With sufficiently trained personnel, the security measures can range from deploying simple sandbags, screens to disrupt direct line of sight, barriers and fortifications to all weather sensors, patrolling systems, anti personnel mines, counter rocket and mortar systems (C-Ram) and a command and control system. Intruder alarms and alertness is the key to defusing any grave situations in event of an attack. Dunigan (2011) highlights the peak utilization of private military security contractors in Victory for Hire: Private Security Companies' Impact on Military Effectiveness. This takes off the load of training and recruiting from the military and allows the military to focus personnel to more demanding tasks but huge deployments of private contractors also constitute problems. Outsourcing of violence to mercenaries to avoid political consequences and lowering expenditure might be tempting to the military but the risk is far greater. Dunigan assess the lack of coordination, tensions and even hostilities in scenarios where military and private contractors have been co-deployed alongside each other for military security purposes. To remedy this setback, more accountability should be expected from the private contractors who work with professional soldiers. The resentment over differences in salaries of professional soldiers and mercenaries, friendly fire incidents, and soldiers’ lack of knowledge about the extent to which private security contractors are present and being used in missions only pile up to complications. Since it is very less likely to not use private contractors any time in the near future, it is important that this coordination should be established and the problems be alleviated. The military security outside the base is a whole different story. Military vehicles have often been ambushed or targeted with prepositioned improvised explosive devices (IEDs). 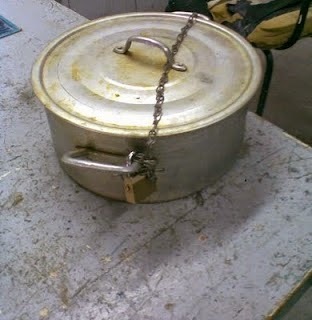 Forging of explosive devices by the use of commonly available materials is hard to prevent and is very versatile. The use of IEDs not only is a nuisance and disrupts operations but also has psychological implications. A bomb under every other car, an ambush set up at every other corner and hit and run raids on convoys are extremely defeating towards the general morale of the military and causes hesitation in the soldiers not only at the frontline but also those at the supply line. IEDs have become one of the favourite weapons of guerrillas over the time. Maoists in India, Taliban in Pakistan, Viet Cong in Vietnam (History.navy.mil) and al-qaeda and other terrorists such as Timothy McVeigh (Shariat et. al 1998) and Terry Nichols (Rimer 1995) have been reported to have used IEDs for their targets. Military branches such as RAF have specially trained their teams in counter insurgent operations that specialize in defusing IEDs and preventing attacks based on improvised explosive devices. As per a 2010 newswire from US Fed News Service, IEDs have been killing a large number of Afghan and UK forces and no particular solution can be applied to resolve the IED attacks. To counter this, bomb disposal squads to find IEDs on the frontline and supply routes would be the best dynamic mechanism. Per the newswire, about 300 IEDs go off around the world annually. While attacking the insurgents’ bases where IEDs might be constructed and playing offensive would decrease the attacks significantly, the fear of unknown has still to be countered by actually remedying these attacks. 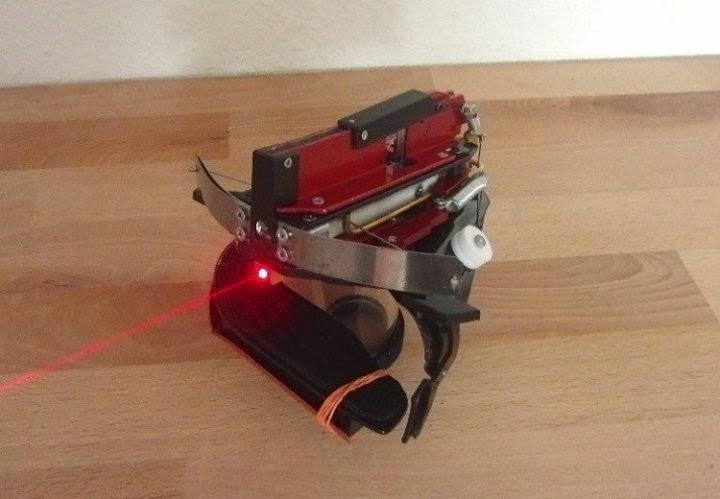 Modern militaries use robots (autonomous or remotely operated) and unmanned machinery to locate and disarm IEDs in addition to sniffer dogs. No matter how much expertise a person can have, the dangerousness of defusing IEDs remains high. Hukam Khan, a Pakistani bomb disposal officer responsible for defusing hundreds of IEDs per year, was reported by Dawn News (2012) to have been killed by a second IED explosion while he was securing the first one he defused. Military security, both internally in a base or in a hostile terrain, has evolved to a much complex and dynamic task. To successfully attain perfect security in the modern warfare, alertness and training is the key even when equipped with the most modern technology. Prabhakaran Paleri (2008). National Security: Imperatives And Challenges. New Delhi: Tata McGraw-Hill. pp. 521. ISBN 978-0-07-065686-4. Nick Wadhams, Associated Press (December 23, 2004). MILITARY EXAMINES SECURITY AT BASES. The Cincinnati Post (Cincinnati, OH). Joe Pappalardo (July 1, 2004). Military bases getting protection against WMD attacks. National Defense. Ian Kemp (October 1, 2008). Securing the base: on 14 July 'hundreds' of insurgents attacked a temporary combat outpost in Afghanistan's Kunar province near the Pakistan border occupied by 45 members of the US Army's 173rd Airborne Brigade Combat Team and 25 soldiers of the Afghan National Army. The attack inflicted the highest casually [sic] toll in more than three years, with nine US soldiers dead and another 15 wounded. Armada International. 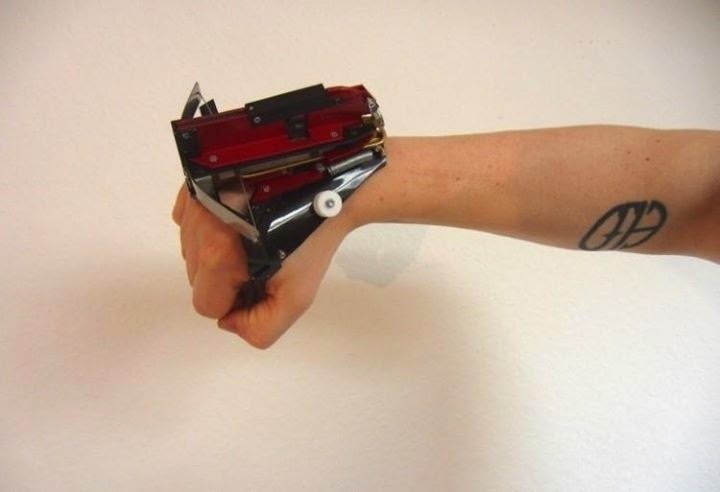 Molly Dunigan (2011). Victory for Hire: Private Security Companies' Impact on Military Effectiveness. Stanford Security Studies. Mine Warfare in South Vietnam. History.navy.mil. Sheryll Shariat, Sue Mallonee and Shelli Stephens-Stidham (December 1998). Summary of Reportable Injuries in Oklahoma. Oklahoma State Department of Health. Archived from the original on January 10, 2008. Sara Rimer (May 28, 1995). The Second Suspect -- A special report. ; With Extremism and Explosives, A Drifting Life Found a Purpose. New York Times. Retrieved April 11, 2010. Editorial (30 September 2012). Bomb disposal hero. 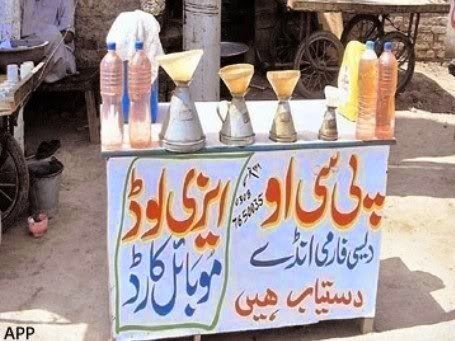 Dawn News. 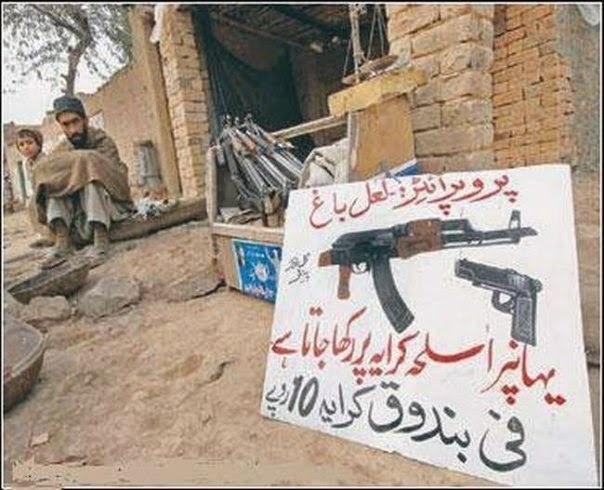 A rent an AK-47 shop... 10 rs per rifle for hunters. 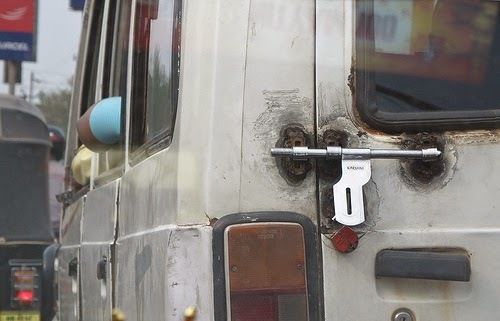 A gate bolt welded to van door so that it can be padlocked from outside. 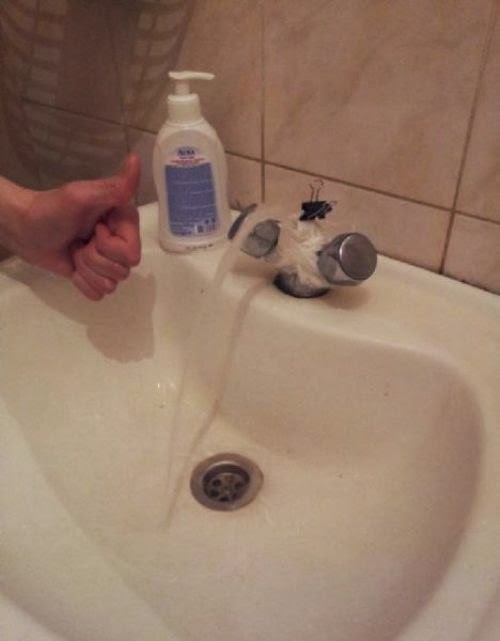 Broken sink tap rigged up with a paper clip for a stable stream. 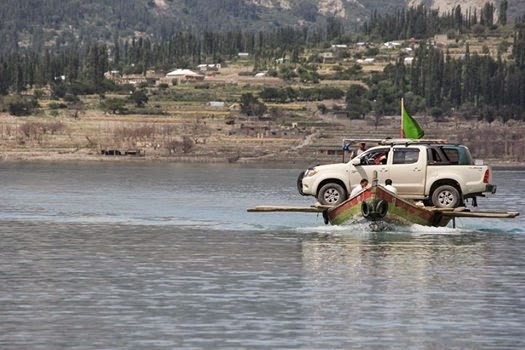 Transferring a jeep across Hunza lake, Pakistan. 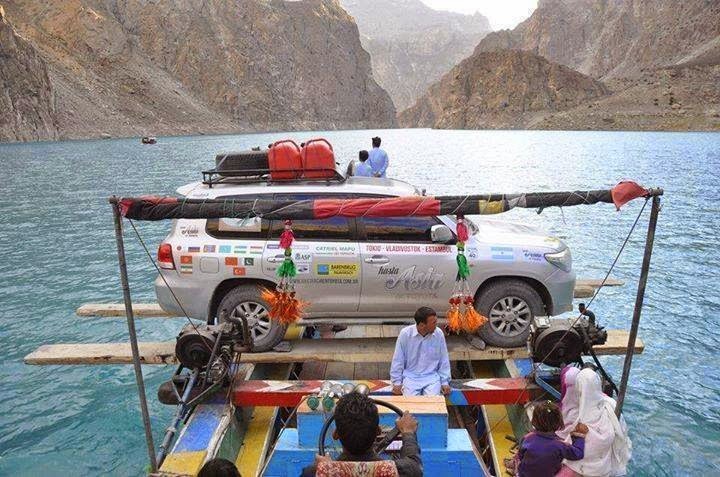 Transferring a Hilux, double cab accross Attabad lake, Pakistan. 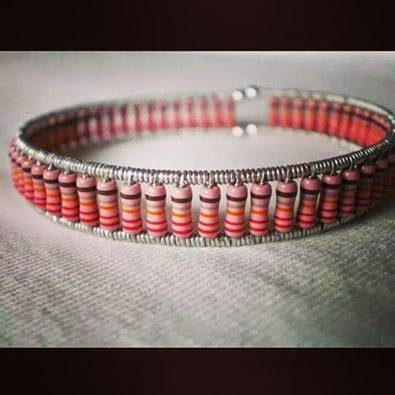 A resistor bracelet... you might call it an — ohm band. 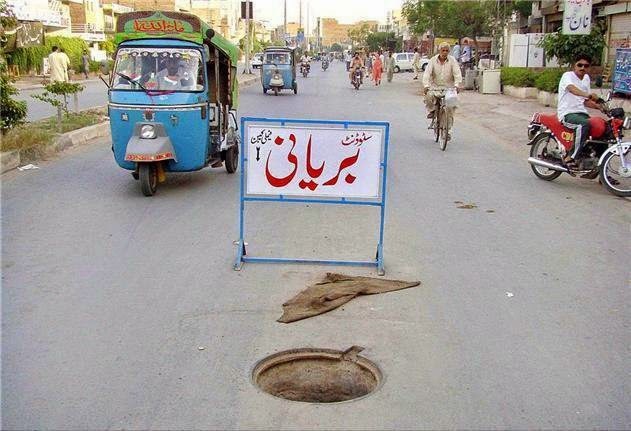 A briyani board being reused to block a manhole makes a funny sign. 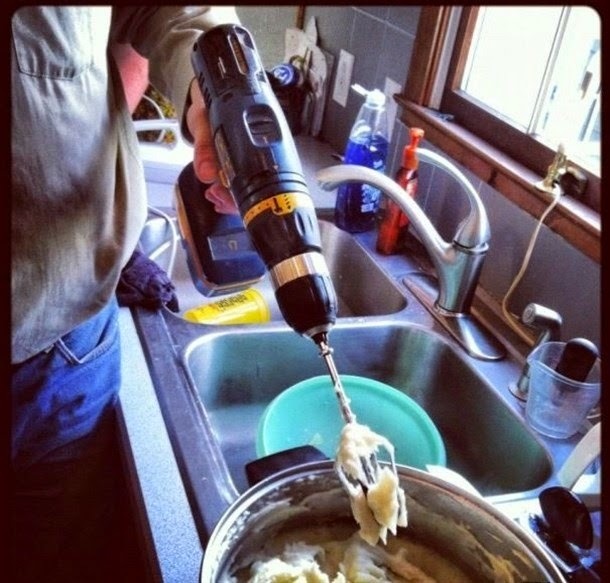 If a drill machine can be rigged up to peal apples or to make keema out of beef, why not as a masher. 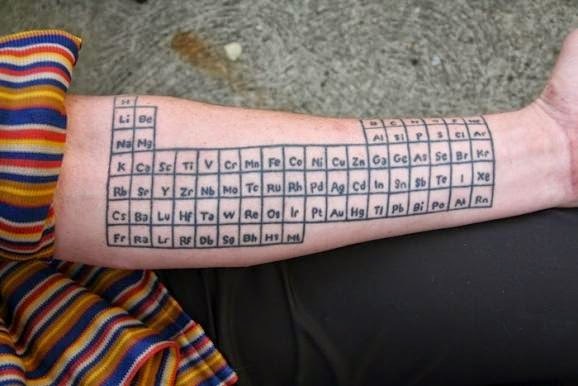 Periodic table tattooed on arm. 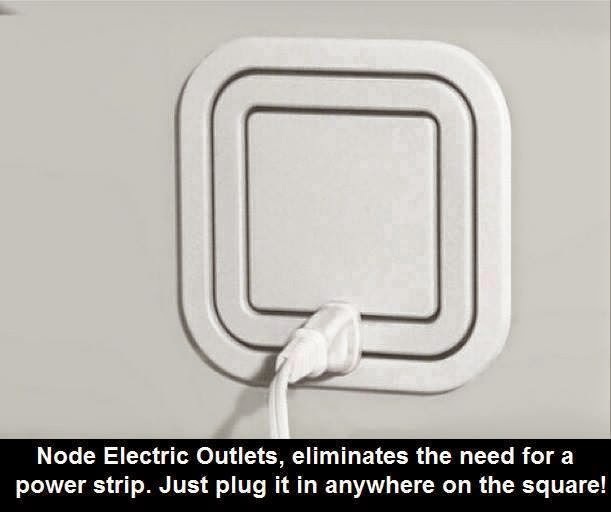 Node electric outlets, eliminates the need for a power strip. Just plug it in anywhere on the square; another version of the omni-directional socket. 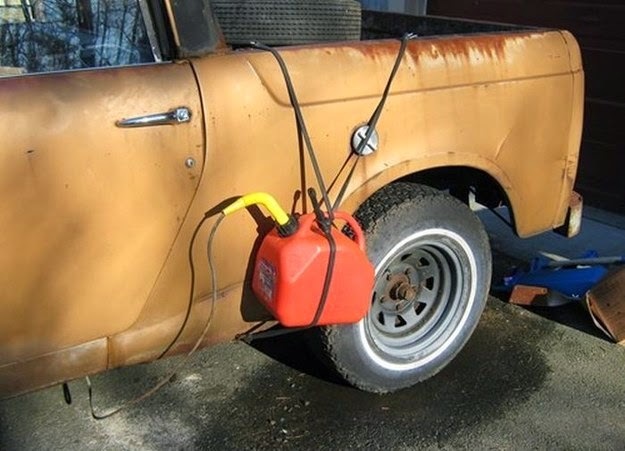 PCO, Easy load, mobile cards, eggs, petrol... basically everything to rescue you at the same shop ;) — we have a winner. 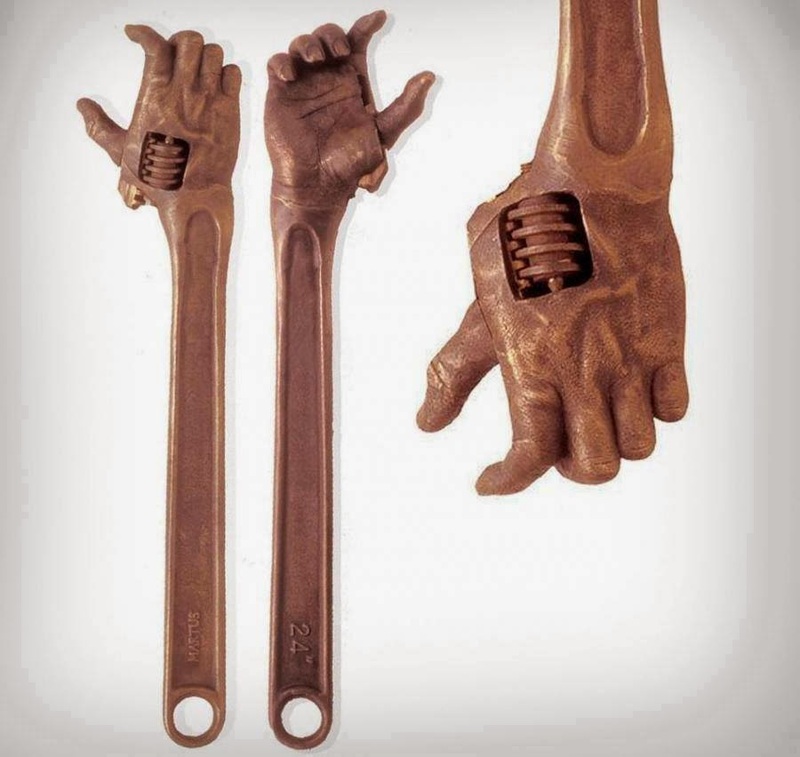 Hacky hand shaped wrench that brings art to mechanics. 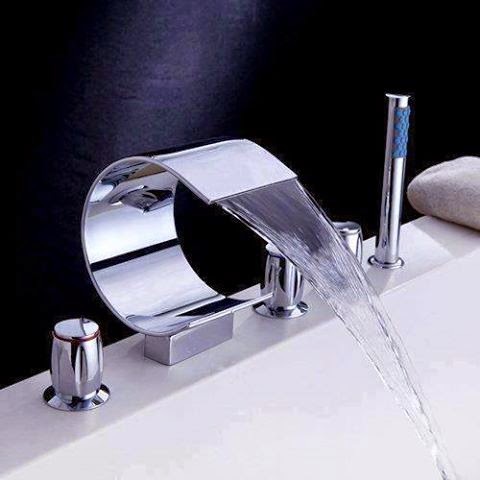 A flat tap that produces a flatter stream of water and also serves as an artistic interior. Moltyform places roadside advertisements 'boards' rigged with a bed form that can be converted into beds at night by travelers, labours from rural areas or the homeless. 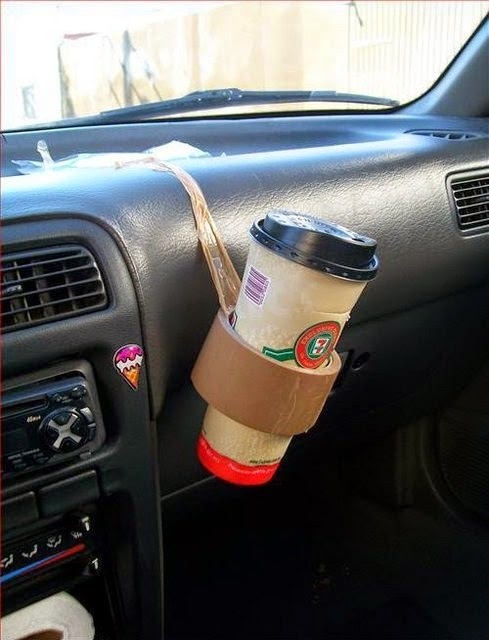 This guy decided to take a page from the aviators' book making the duct tape to be a solution for every problem. 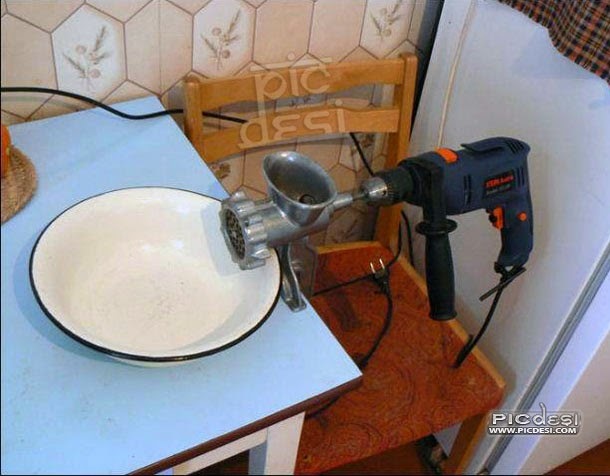 A truly frugal use of a drill machine rigged up for grinding meet for keema! 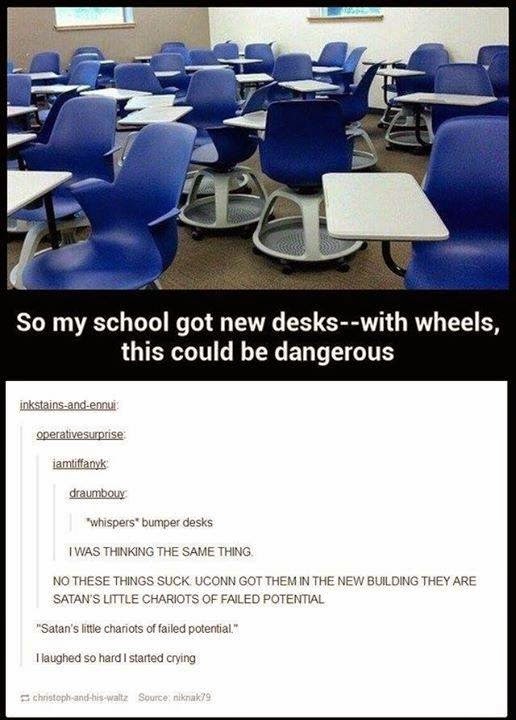 "So my school got new desks--with wheels, this could be dangerous." 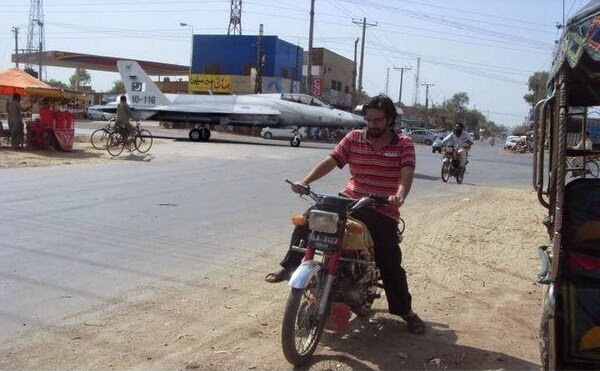 Nothing special, just a JF-17 crossing the road - or is it out for display? 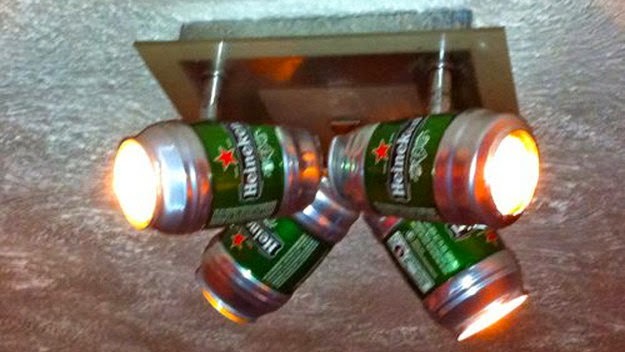 Build a chandelier using tin cans and energy savors to give it a cool pro recycling look. 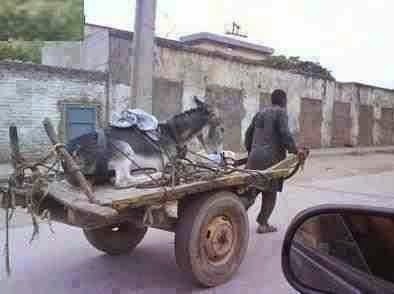 Worker pulls a stubborn donkey, who wouldn't move, on a cart to take it back home. 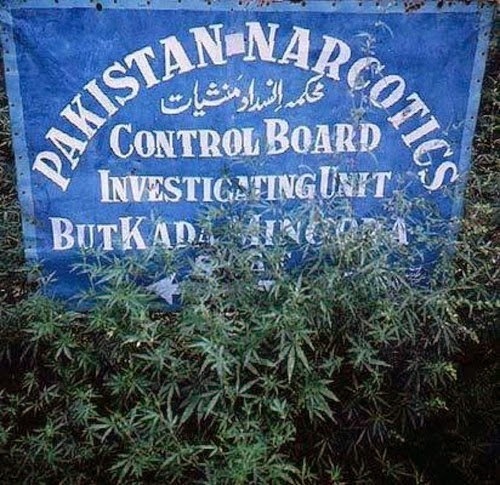 The drug control department sign board under siege by drugs. 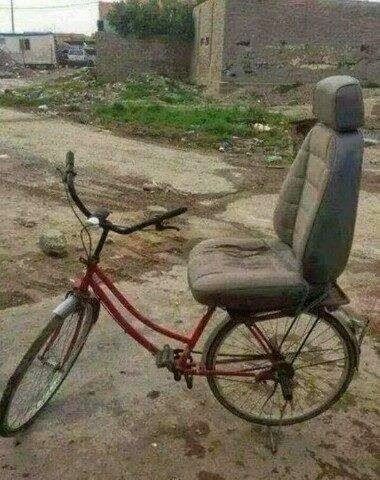 A frugal startup rigs used car seats over to bicycles for added comfort. 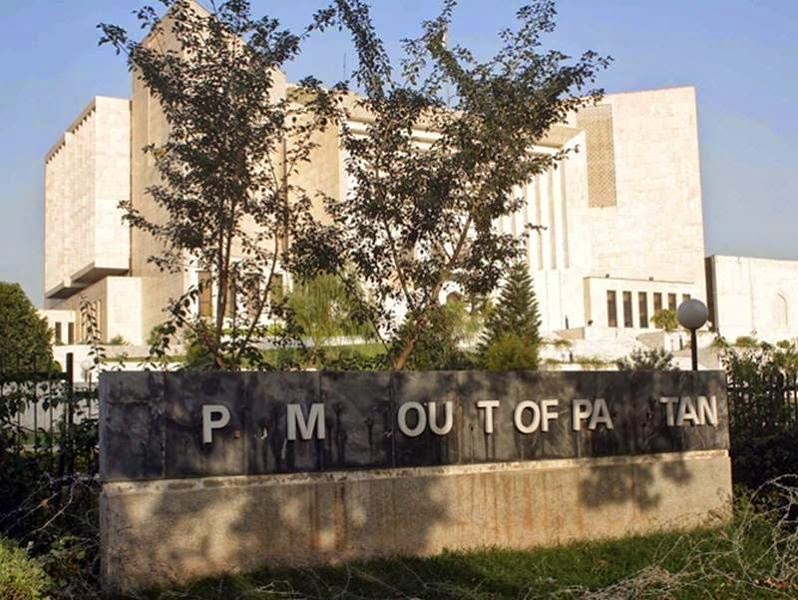 A Pakistani news paper reports of Alphabets gone "missing" from signboard of Supreme Court of Pakistan so that the letters left by the vandals with intent read "Prime Minister out of Pakistan". Read the story here. 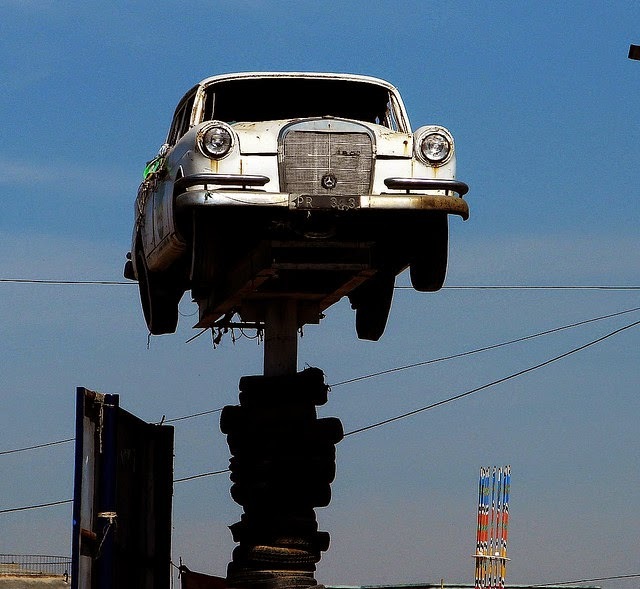 Car Chowk, Rawalpindi displays an actual car at the crossing round about. 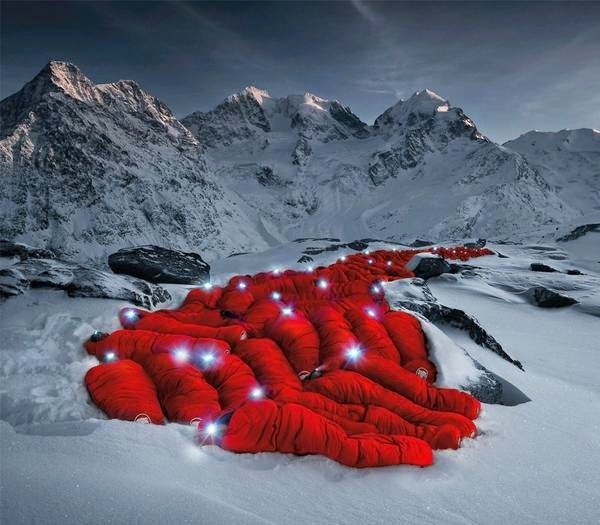 A sleeping bag advertisement photograph at Karakorum. 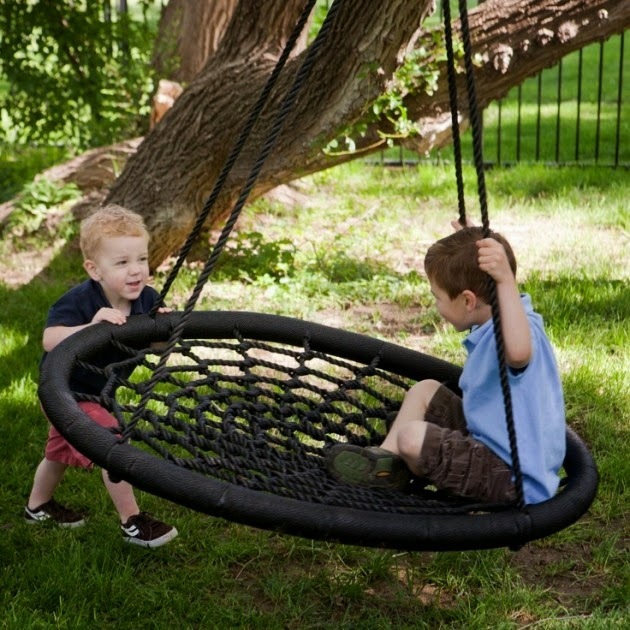 A rope based swing that takes a knit design to a flatter approach. 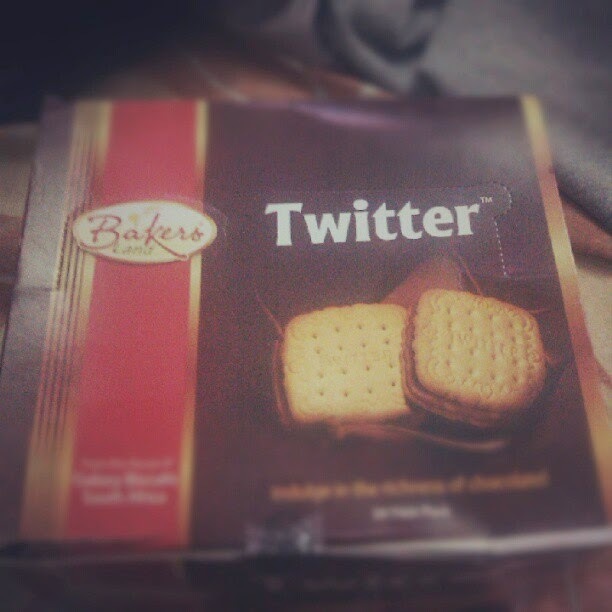 Unmatched brand theft: Twitter supari! 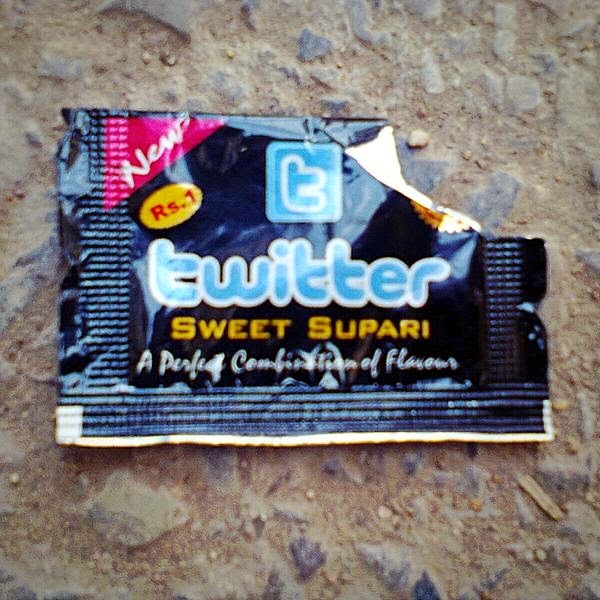 A wrapper of "twitter" Supari... ! 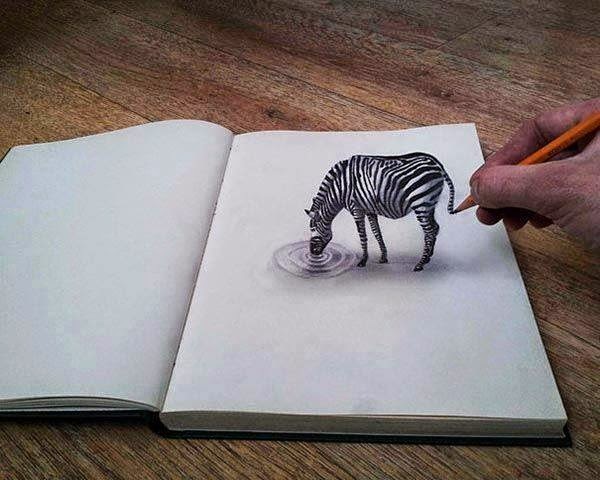 Zebra drinking water from a notepad in a 3D sketch seems totally perfect. 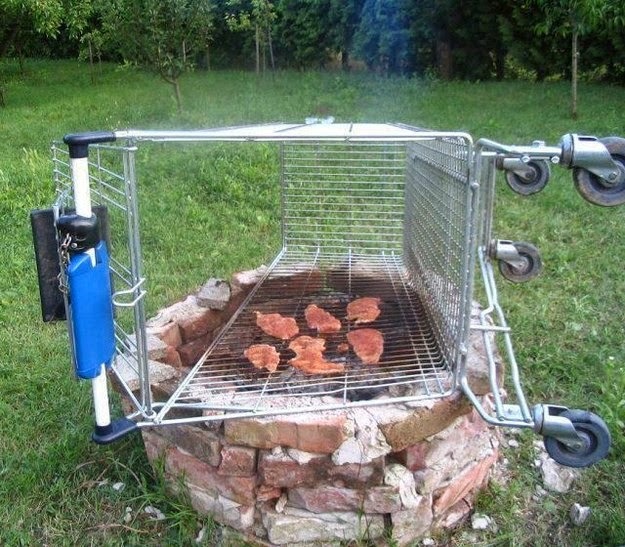 Then upturned trolley seemed to be making a great grill; the side ways one does a grill BBQ just as good.